For all of you multiple instrument owners out there ..... Do you have a favorite guitar that keeps jumping out of the case at you? Do you have certain guitars for each type of music you play? For certain occassions? For days of the week? Or do you rotate through them? I find myself grabbing my Breedlove Pro Series more than the others. 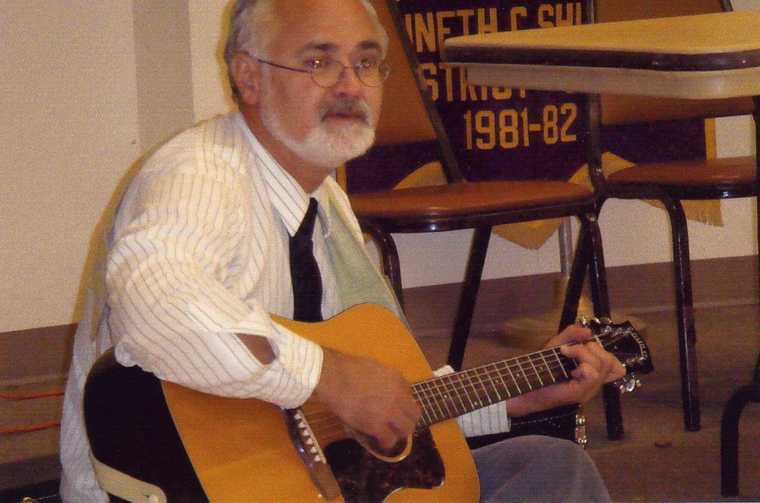 It works for all the types of music I usually play ... blues, Celtic, singer/songwriter. I do try not to play the same guitar back to back from one day to the next. It keeps them from getting jealous! Breedlove Northwest is my horse. I have a Cashimira classical for that vibe, and my go to electric is my Fender Road Worn Tele. I rotate a lot though, but those are my hands on beaters. My other horse would be my Composite Acoustics CA-7Se I bought from Mac. I'm not worried about it being damaged by wind, snow, rain, or hail. 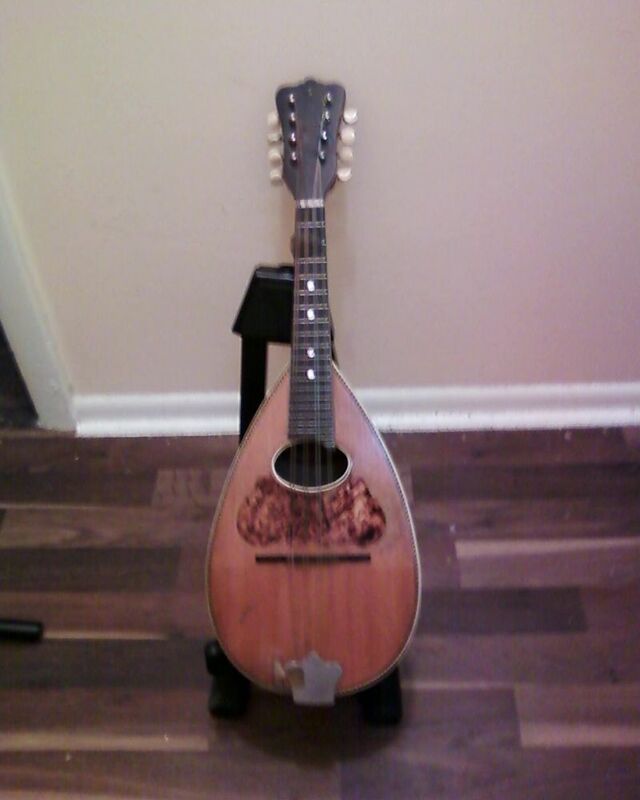 I only have the one guitar, Guild D25 , but I currently have 5 mandolins at home, & one in the hospital for too long now. My go to currently would be the Gibson A2 , followed by the Kay I fell in love with when looking for a less expensive F hole mando to replace the Breedlove Cascade , which, prior to getting the Gibby, was the go to for playing in front of people. I still love Victoria , & the bowlback is an interesting change. 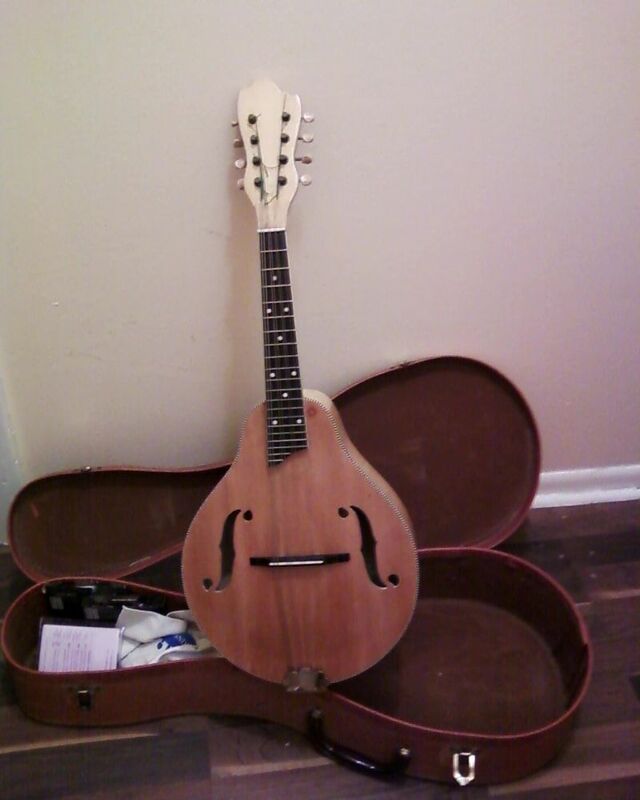 The Gibson, the Kay & Victoria are good for blues or Old Time("hillbilly"), bowlback, Gibson & Victoria for "classical" , Kay, Breedlove or Gibson for jazz or bluegrass. Breedlove really works pretty well for pretty much everything. I may just go ahead & change the strings & keep it! I have 5 guitars and play two frequently. The Breedlove Focus concert and a Goodall RCJC keep my hands occupied most of the time with a Yamaha Classical (CG110CE) taking third place. 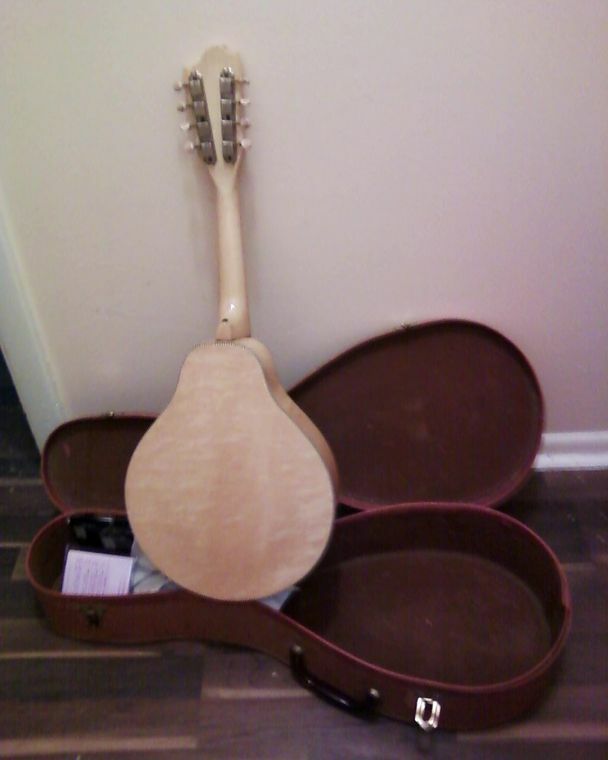 I have another acoustic steel string I had custom built for me, and does nothing to scare the first two into their cases, and a Rickenbacker 330-12 that occasionally gets my attention. One I don't count is a Guild F-412 I bought new in 1974 that has paid all the dues it can. No pictures (too tired to bother after the game with Omega today) but after a few years of buying guitars, I've actually sold a few. The one I play the most is the same one you see in most of my YouTube videos; a C20 Masterclass. My C25 12'r gets a bit of play, but I'm still getting back into the whole twelve string vibe. I have my Pro C25 C/RH in "C G D G A C" tuning, because I'm transcribing Hedges tune "Bensusan" right now. My other acoustics dont see much daylight at the moment. My go to for electric stuff has always been my namesake, but she's been waiting for a new neck, and I'm a little too heartbroken to think about it. So the PRS McCarty Rosewood has been getting the play time along with my old beat up Strat. Like a few of you, I go in cycles. The last month or so I've been focusing on a uke tune sort of bluegrassy fingerpicking number in an alternate tuning (yep, you can do that on the 'ukulele). And the good part is I'm finally playing "Patricia", a custom uke made by Dave Means of Glyph Ukulele. A mezzo soprano I commissioned in.. '07 or so and got in '09, but haven't really found my stride in it. 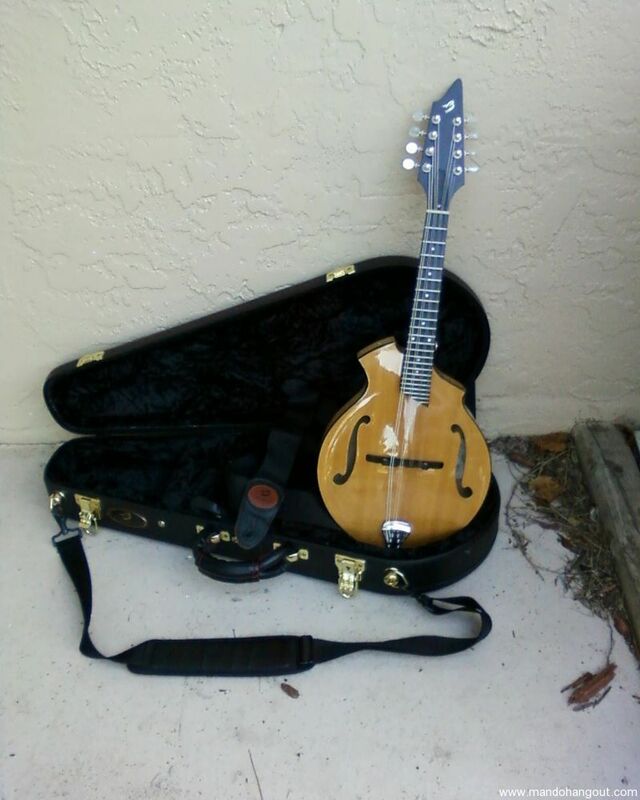 MandoSquirrel wrote: The Gibson, the Kay & Victoria are good for blues or Old Time("hillbilly"), bowlback, Gibson & Victoria for "classical" , Kay, Breedlove or Gibson for jazz or bluegrass. Breedlove really works pretty well for pretty much everything. I may just go ahead & change the strings & keep it! When did you get the Kay? Neal wrote: Like a few of you, I go in cycles. The last month or so I've been focusing on a uke tune sort of bluegrassy fingerpicking number in an alternate tuning (yep, you can do that on the 'ukulele). And the good part is I'm finally playing "Patricia", a custom uke made by Dave Means of Glyph Ukulele. A mezzo soprano I commissioned in.. '07 or so and got in '09, but haven't really found my stride in it. The Martin 00-17? Have we seen that? 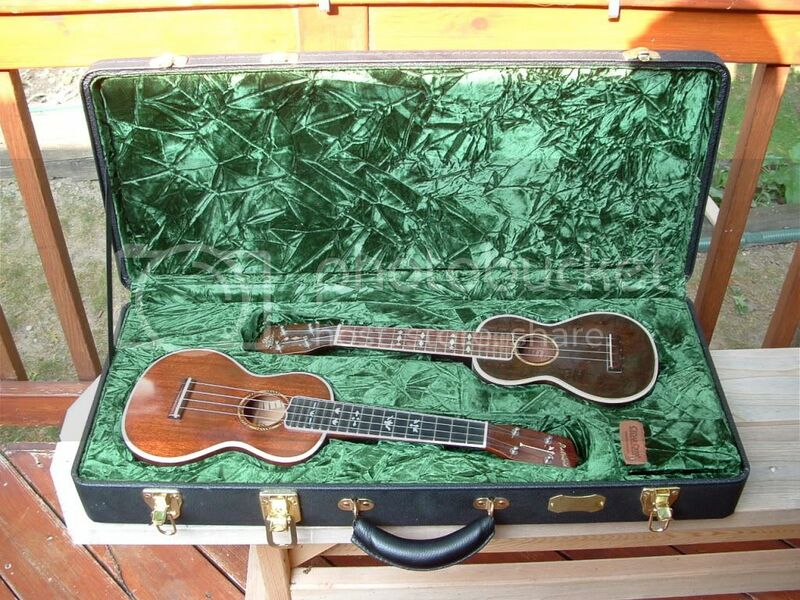 I agree with Omega, those ukes are gorgeous. Omegaman wrote: Breedlove Northwest is my horse. I have a Cashimira classical for that vibe, and my go to electric is my Fender Road Worn Tele. I rotate a lot though, but those are my hands on beaters. My other horse would be my Composite Acoustics CA-7Se I bought from Mac. I'm not worried about it being damaged by wind, snow, rain, or hail. That's a nice looking tele! Not that the others aren't, but that it especially nice. How about a picture of the CA-7Se? Thanks! I love the ukes. The Martin? Here it is, not a beautiful guitar, but a serious player. 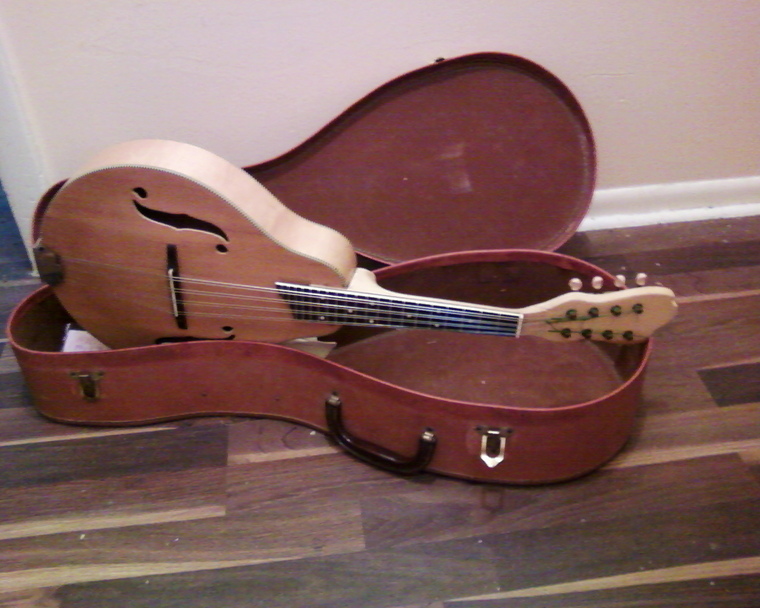 1937, not original, finish gone, been thru at least 2 sets of tuners before me, I installed Grover open back, like the Waverly's, but a quarter of the price. Let's see... arm rest, as my sweat was eating into the finish, neck reset/fefret in '97. I found the receipt, 473.00, and that was with a new saddle, nut, and a crack fix! Tried out the Kay Feb 4, and picked it up on Sat, Feb 5, when I made a down payment on the Gibson, which I picked up March 19. 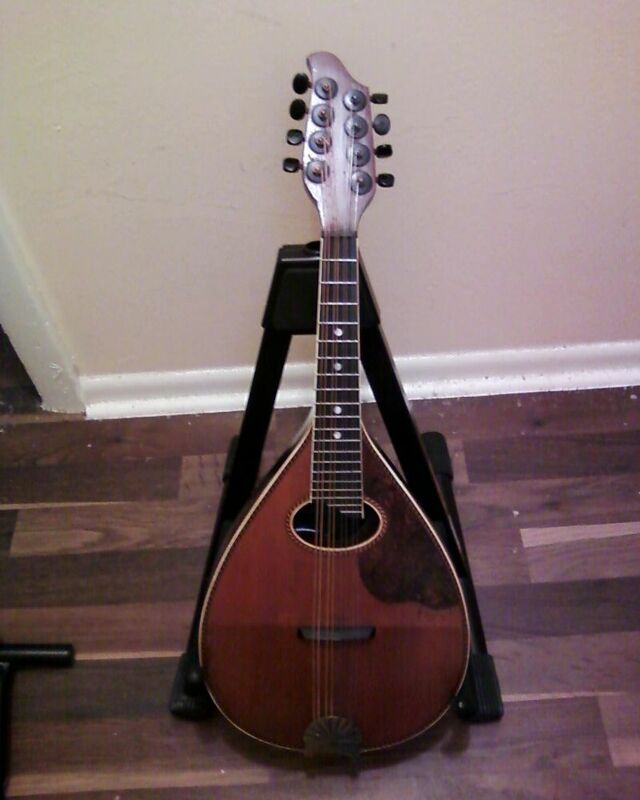 This model Kay apparently has surprisingly great sound ; I know mine has, & I've seen a couple of other references at Mandolin Cafe & MandoHangout to near identical mandos. Beautiful! Do you have any audio or video clips of it? That is a beaut! You are mando-rich now. Especially if you get that Flatiron out of the hospital. I'd have to say, that behind the A-2, those (the flat Flatirons) are my favorites. Yep. Nice pictures. With my temperatures and general lack of humidity here, I really should look into those. I got to play a Rainsong recently and was very pleasantly surprised. [quote="Tele The one I play the most is the same one you see in most of my YouTube videos; a C25 Masterclass. My C25 12'r gets a bit of play, but I'm still getting back into the whole twelve string vibe. I have my Pro C25 C/RH in "C G D G A C" tuning, because I'm transcribing Hedges tune "Bensusan" right now. My other acoustics dont see much daylight at the moment. Are you not playing that sweet custom build from Eastern Washington? What's with that? It had such a sweet balanced tone. My Masterclass striped ebony with the German Spruce top is back at Elderly Instruments on consignment. I really loved that guitar and sound but I found I just wasn't playing it enough anymore and decided to let it go to someone who would play it more often than I was. Once that sells I have a few that I am considering which way I will pull the trigger. My Baby Taylor doesn't get played much at all anymore and sits in its case. 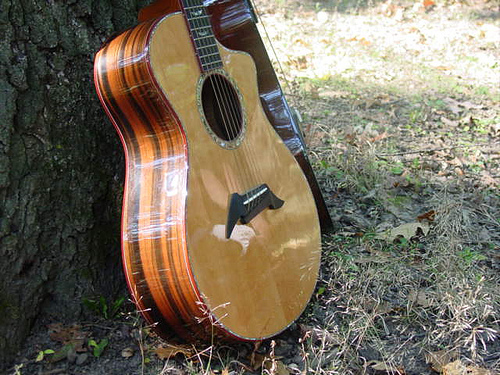 Since I have the LG-2 which is a small size guitar I take it with me whenever I go anywhere. ragtime man wrote: [quote="Tele The one I play the most is the same one you see in most of my YouTube videos; a C25 Masterclass. My C25 12'r gets a bit of play, but I'm still getting back into the whole twelve string vibe. I have my Pro C25 C/RH in "C G D G A C" tuning, because I'm transcribing Hedges tune "Bensusan" right now. My other acoustics dont see much daylight at the moment. No Rags, I'm sorry to say that I recently sold that guitar along with a couple others. 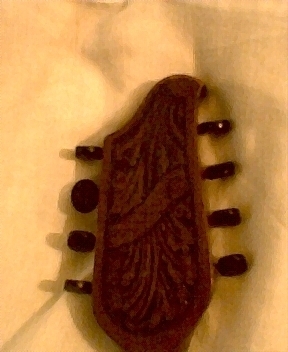 And yes, it seems I find myself abundantly mando'd, with 5 in the house, & wondering if I'll ever get the Flatty back. I think I'm going to end up keeping the Breedlove, which doesn't bother me anywhere near as much as it annoys my bank account! I need to take another look at Elderly's guitar list, I guess! Is THIS it? That sure is a beauty; good thing it's too much $ to tempt me! (though, judging from other guitars I've tried, I'm sure it's worth it! Yes that is my guitar Mando. It has a sound much like B. Rosewood with bell like highs. Extremely clear sound and well balanced but with a very solid low end yet not muddy. It was a hard decision to let it go. I made a promise to my wife that I would not buy another guitar without selling one that I had. When I looked at my herd I decided I couldn't let the Chris Procto Taylor go as it would not be replaceable since there were only 100 of them made. I decided the Gibson had to stay because I am the second owner of that guitar and to find another in as good of shape and a sunburst to boot would be really difficult. Besides with the blues and ragtime stuff that I play it was build for and lived it back then. The National Style O Replicon could be replaced but when it was A-B ed against a 1934 Style O the store manager and an blues artist that played them both said mine sounded far better than the actually 34. So while there are Replicons to be had when I bought it the thing sounded better than any of the old Style Os that the shop had. Adding what the other store manager said and the artist that played it meant while I could get another Replicon getting one that sounded as good as this one was going to be more difficult. So that left the striped ebony and I wasn't playing it as often as the others. 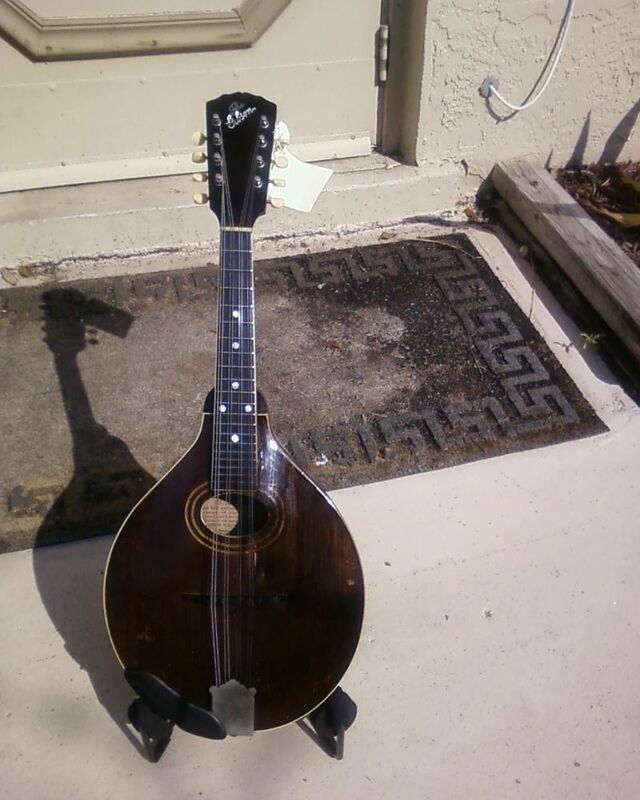 I would pick it up and play it especially when I wasn't playing blues or ragtime stuff. 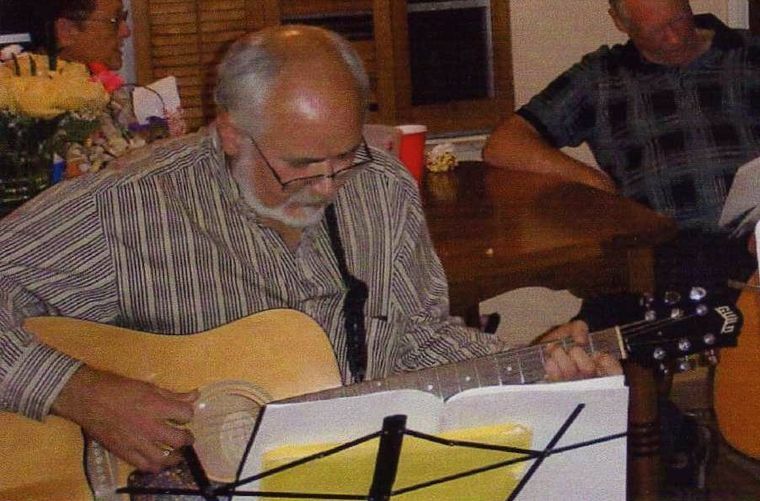 However, my first go to guitar for the ragtime and blues is the old Gibson. The Delta stuff goes to the National and the slide stuff goes to the National. The Taylor has learned to play Piedmont blues quite well and can play just about anything but slide as the action is way to low for a good slide guitar. So the Taylor takes care of the more modern songs, Piedmont blues and ragtime along with being just a good go to guitar. The Gibson does not sound good playing more modern music but it just rocks out on the blues and ragtime music and the sound of the Replicon is great to my ear when I want slide or Delta sounds but of course it doesn't do very well for the more modern stuff. So after much thought, many hours of termoil, and discussions with some who were on the old forum and folks that have played all my guitars and listened to me play them all the final decision was it was time to let the striped ebony Breedlove go. I can only hope it goes to a good caring home as I have sat many nights, late nights, with all the lights off just playing that guitar and listening to how well it played and sounded. Whoever gets that guitar will be a very happy camper. If I have one build I have been working on the radius' I want on the fretboard, back and front. I may even have a Gibson L=00 build by someone in the Portland area but I haven't decided on that yet. Part of that problem is I believe there is something like a year or more wait to get it built. That sounds about right as I recall the several thousand dollar Taylor small body striped ebony I tried a few years ago sounding. Sounds like you've made a difficult but necessary decision.